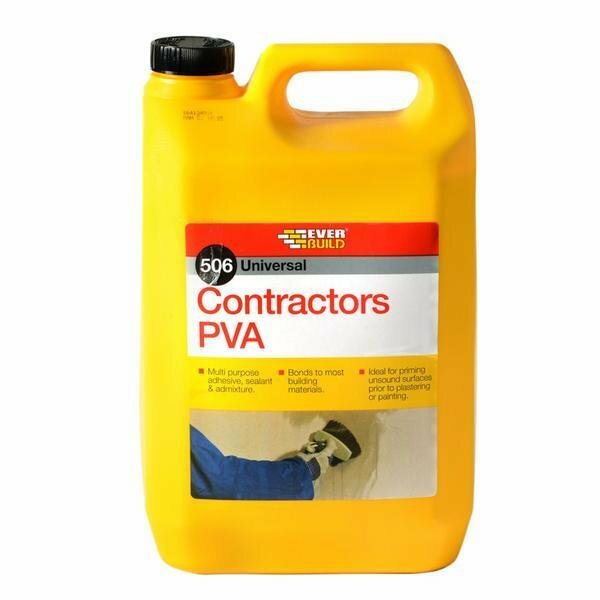 CONTRACT PVA is a multi-purpose agent, primer sealer, cement filler and plaster admixture that adheres to most common building and D.I.Y. materials except PVC and rubber. Ideal for priming unsound surfaces prior to plastering or painting, as an adhesive on wood, cork, textiles and most applications where at least one surface is porous, for general dust sealing on flaking paintwork/walls etc. and as a cement admixture.